Boris Wolfson is Associate Professor and Chair of Russian at Amherst College. When my son was four years old, I decided to create a Passover seder just for our family. In this haggadah of our own I gathered reflections on the theme of the holiday — the (im)possibility of freedom — that proved, over the years, to be especially meaningful to me and mine: something he could grow with, challenge, and cherish. And so, in addition to many traditional formulas, there’s Emily Dickinson and Marina Tsvetaeva in our haggadah, Tolstoy and Machiavelli, Lemony Snicket and Holly Near. And then there’s this — the best way I could explain to him at the time what happened to his father, uncle and grandparents in May 1990. He is eleven now, and we’ve made a number of changes to the haggadah over the years, but this piece is still there, and he now insists on being the one to read it every year, on the spring evening when we remember stories of enslavement and exile. I spent the day looking in their eyes. We were leaving in the morning. We were going to Moscow. I was going to look at colleges. In retrospect, it’s surprising that so many people seemed to have bought the excuse. Who went to Moscow to look at colleges? What were we thinking, telling everyone that was the plan? Of course, we didn’t know — no one knew — what would happen. Did we? But I knew we were leaving. Leaving leaving. I thought I knew. Did I? Just in case, I spent my final day in my hometown looking in my friends’ eyes. I wanted to remember them. I was fifteen, they were seventeen, and they were off to college themselves, and even if we came back I wouldn’t necessarily see as much of them as I used to. So why not spend some time looking in their eyes? In retrospect, it’s surprising that they didn’t mind. I must have looked pretty silly. It took seventeen hours to get to New York from Moscow in those days: two stops, one in Ireland and one in Canada, to refuel the IL-62M, a Soviet airbus knock-off. A friend met us at JFK, hailed a cab, and we immediately got lost. We needed to go to Elmhurst, but the word meant nothing to our driver. My brother fell asleep as soon as we got into that cab. He was five, so my mother just held him in her arms the entire three-hour tour of greater Queens. He missed the most exciting part: the haggling at the end; our friend, wise in the ways of America, did not want to pay the driver for all that time he wasted not taking us where we needed to go. 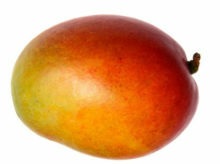 We ate mangos for supper — my brother missed that, too. My father went to see Brodsky. They stayed up talking most of that night. My brother and I slept. My mother waited for my father to get back. In the morning we had Cheerios. I found them repulsive. And suddenly the day I spent looking into the eyes of my friends was most of what I had left from the only kind of life I had known until then. That and three suitcases and my brother’s backpack stuffed with Legos. We couldn’t leave his Legos behind. When I remember the day before we left, I think of it as the final hours before my life bifurcated. I spent more years in graduate school than I did being a Young Pioneer. But I remember that day, and the palpable sense that things were about to change, though no one would admit it. on those days when nothing in this new, cold, ugly world felt at all liberating. I did not assign any meaning to this attempt. If anything, I wanted to suspend all meaning: not to look at our journey as an exodus – just to step out of time, and so transcend space. And every night, a fraction of a second before I could achieve that, I would always fall asleep. And see the back seat of a cab, and an old woman haggling with the driver, and mangos. And know that we arrived.